This document contains all of RASA’s procedures and regulations. This document outlines how RASA and HAC handle your personal data. This document states the details regarding the partnership agreement between RASA and the Common House Elliott Foundation. This is the RASA template for society board books. 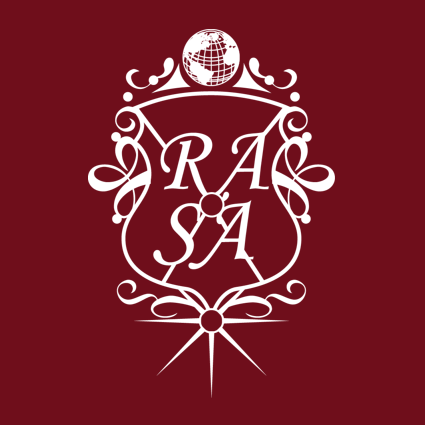 This is the official RASA logo. The Fall 2018 RASA Budget. Send us an email at rasa@ucr.nl to request previous budgets. The Spring 2019 RASA Budget Proposal. Come to the GA this Thursday the 14th of February to discuss this proposal! ​This is the scenario template for RASA events. This handbook explains what a committee needs to do and includes a lot of tips on how to do those things easily. At the start of every semester every committee has to fill in this form in order to receive any funding. Please look at these guidelines when thinking about starting a society. The old version of the society handbook, as used before Fall 2017. Only to be used for comparison with the new version. The HAC policy manual contains all the rules and regulations regarding the HAC and the HAC IB. These are the official articles (statutes) of the HAC. ​This document outlines how RASA and HAC handle your personal data. This form can be used by floor and house elders to get reimbursed. You can also use this website. Use this form to apply for the sublet of your room for when you go on an exchange semester. For all academic and UCR-related forms, please visit the UCR Website. The most up-to-date versions of every form can always be found there. ​It is the responsibility of the student to stay informed about UCR rules and regulations. All of this necessary information can be found in this year’s edition of the Student Handbook, so make sure to give it a read! Most of the Academic documents, such as the Exchange, Off-Campus, and Master Guides can be found on the AAC's own website. It's almost as nice as this website. Go to the AAC website! This file contains some of the the most-frequently-used-but-annoyingly-vague UCR terms and concepts with a brief explanation and links to other relevant documents. Do you need to order a book through PiCarta, but you don’t know how? Check out this guide! Thinking about filing a complaint? Check out this document to see which steps you need to take!